Your privacy is important to us, and we respect the trust you instill in us when you share your information with us. We obviously collect information you give us for reasons associated with the booking processes for our service, and we also collect information in the background in order to give us a better overview of how people interact with us online. Here you can find all the information we have regarding the data we collect on you whilst on our website. If you book any services as a user on our platform www.real-support.com , Real Support will collect your following personal data and information. Type and booked services and additional services (such as cleaning products, helper, special cleaning etc.) as well as the booking duration; Information on whether the service is to be provided once or repeatedly; Time of creation and update of a user profile. In order to complete your booking, REAL SUPPORT will also collect the optional information, if any Notes provided by you. REAL SUPPORT transmits the user profile data, booking data and additional information to Service Partner for providing services. Because they need to know the information in order to provide the service by user/Clients demand. Placement of Booking, you conclude a contract for services (provide in the platform) between you and Service partner, REAL SUPPORT processes and uses your user profile data. The user profile data will be used by REAL SUPPORT for the booking support, processing, billing and aftercare of the respective booked service, as well as contracts including further actions such as billing, credit, complaint, cancellations, etc. and stored in the respective user profile. In addition, REAL SUPPORT uses the user profile data, in particular, the telephone number and Email, to send notification for the reminder about the upcoming order/booking. Furthermore, REAL SUPPORT uses your booking data for billing the services provided by the partner and any necessary support as well as for the settlement of the commission from REAL SUPPORT to the Service partner. If you use our Platform to assess the performance of services provided, REAL SUPPORT will collect, process and use the information you provide for the purposes of presentation on the Platform. In addition, REAL SUPPORT will save the services you have provided/used, as well as any services offered to you by a service partner. For example, a generated invoice in your user profile in order to provide you with access to this information in a later date. You can also change your additional information and user profile information at any time in your user profile. If you want to delete your user profile from the platform, you can send us an email. In addition, if you do not use REAL SUPPORT’s platform for service up to 24 months, your profile and all data shall remove from our platform. You will no longer be able to see any information or activity about the past after this period. information about currently working and in which service areas and Experience in the service industry. Information about available means of transport if any, information on the existence of a work permit. A police certificate of good conduct, your bank account, and your language skills of the English language, information about your possible area of interested to work. All necessary information needed in order to become an active service partner in Real Support platform. Any missing of the information described is not considered as an active service partner. In addition, any inactive service partner’s data we stored up to 6 months maximum. Within this period failed to complete all information, your data will be deleted form our database. REAL SUPPORT uses the profile data for service partner for the fulfillment, processing, and billing of the respectively booked service as well as contracts including further actions such as billing, credit note, complaint, cancellations etc. and stored in the respective profile. In addition, REAL SUPPORT uses the profile data of the cleaning staff, in particular, the telephone number, email to send notification and reminder about the upcoming events/work. REAL SUPPORT also uses Twitter buttons for our page www.twitter.com/RealSupport2017 from twitter.com to redirect you to our latest activity in Twitter, which operated by Twitter Inc. (795 Folsom St., Suite 600, San Francisco, CA 94107, USA). The button is marked with the "Twitter" logo. By clicking this button, it will redirect you to servers of Twitter. If the visitor of the respective website is logged in at the time of his visit to Twitter, Twitter can assign the visit to the Twitter account of the user. If you click on the button all information, is transfer by the browser directly to Twitter and stored there. If any unlawful use of the platform www.real-support.com or is required for legal action, personal data will be forward to the law enforcement authorities. In addition, if applicable, to third parties who have been harmed. A transfer may also take place if this serves to enforce the terms and conditions or other agreements. REAL SUPPORT is also required by law to provide information to certain public authorities upon request. These are law enforcement agencies, authorities prosecuting fines and the tax authorities. If your data is no longer required for the above purposes, it will be delete from our database. Some data might/must be kept for legal reasons, these are blocked and no longer accessible for the users or service partner. Only access by the administration department of Real Support and can be used for the legal reason if needed. 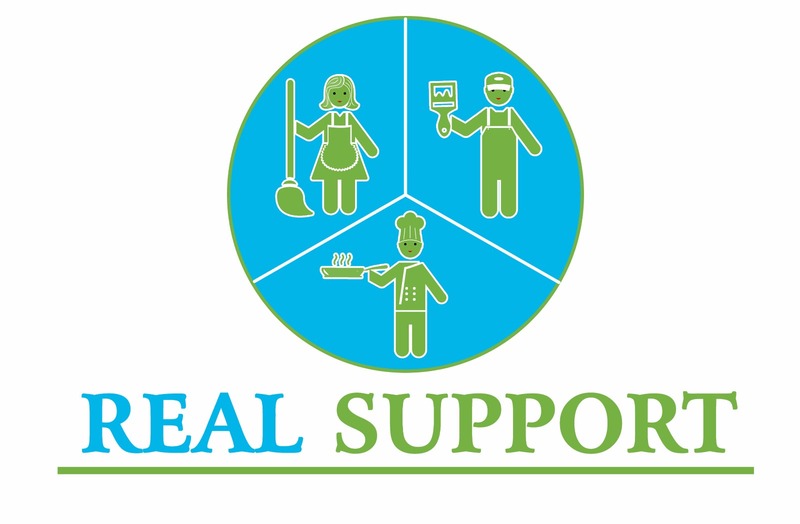 You are also entitled to receive information about REAL SUPPORT's personal data stored on request by sending email to info@real-support.com. You also have the right to request the correction of incorrect personal data collected or stored by contacting us through email. You can set your browser so that you informed about the setting of cookies and allow cookies only in individual cases, the acceptance of cookies cases or generally exclude and activate the automatic deletion of cookies when closing the browser. Disabling cookies may limit the functionality of this website. You can use this link https://tools.google.com/dlpage/gaoptout?hl=de to cookies opt out. This site uses SSL encryption for security reasons and to protect the transmission of sensitive content, such as the requests you send to us as the site operator. You can recognize an encrypted connection by changing the address line of the browser from “HTTP: //” to “https: //” and the lock symbol in your browser line. If SSL encryption enabled, third parties cannot read the data you submit to us.